Technology and Gadgets – Horizon I.T. Unless you have been living under a rock for the past few years, the chances are you’ll be a WhatsApp user. It’s a great messaging & communications application, that has nudged Skype out a most people’s app of choice. The basic reasons it’s so good are simple, it just does what it is supposed to! Unlike almost every other app on the planet WhatsApp has focused on it core purpose, and I applaud them for their focus. 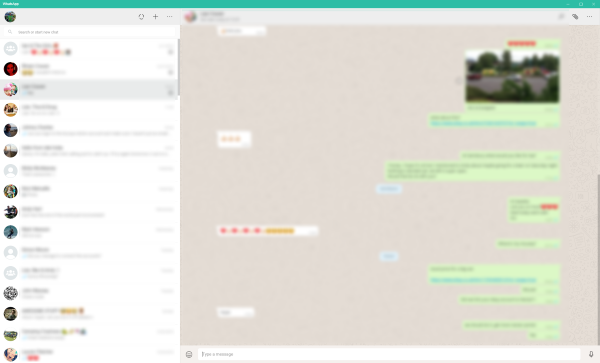 As great as WhatsApp is on a mobile or tablet, it’s when you install it on a WhatsApp on a Windows PC or Max OS X that you unleash it’s true potential. The screen real estate just makes it super easy to manage multiple simultaneous conversations. You can drag and drop media from a folder onto a conversation and it’s ready to send. Images, video and files are easily downloaded to your PC. At Horizon IT we frequently use WhatsApp for remote support for customer, sometimes a PC might display a message on boot up, the customer they can send us photos of hardware or messages. Then we can guide them through fixing the issue. It’s simple to download and install, take care to only install from the official site, there are a few fakes out there. The in the WhatsApp PC settings link the app to your phone and the two will sync and display the same message.